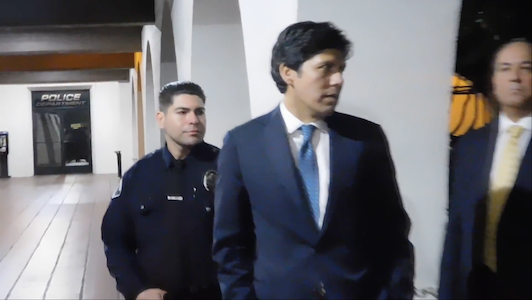 CA state senator Kevin de Leon is beyond corrupt and deserved to be confronted by Trump supporters after he admitted half his family is here illegally while they engage in document fraud. This has to leave voters wondering, how much of that illegal activity did he assist in acquiring for his family!? 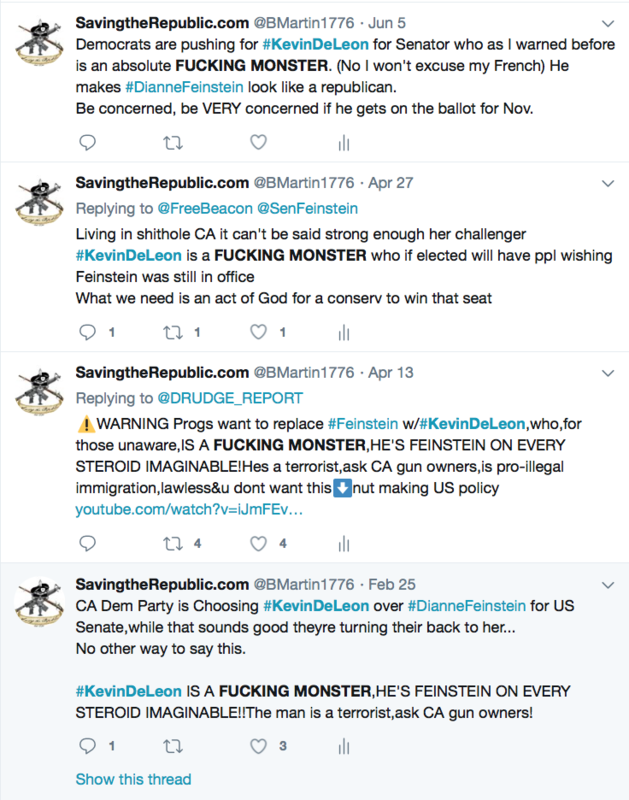 Aside from talking about his family de Leon is in fact endorsing/ encouraging people acquire fake ids which is a federal crime under 8 US Code § 1324c – Penalties for document fraud. He is also clearly engaging in aiding illegal aliens which is also a federal crime, under 8 US Code § 1327 – Aiding or assisting certain aliens to enter, regardless of who you are! Unfortunately CA is a sanctuary state (unofficial, but that will be changing soon under one party rule) so following the law is optional. It would be nice to see some patriots invoke the law to make some citizen arrests. Jail time is what de Leon, countless if not all elected officials in San Francisco including its Police Chief, Lt Gov Gavin Newsom and Gov Jerry Brown deserve. They are putting illegal aliens ahead of citizens and demonizing anyone who is not in lockstep with their anti-American agenda. Cmon Pres Trump cut the money off and Attorney General Sessions start locking people up!